1. 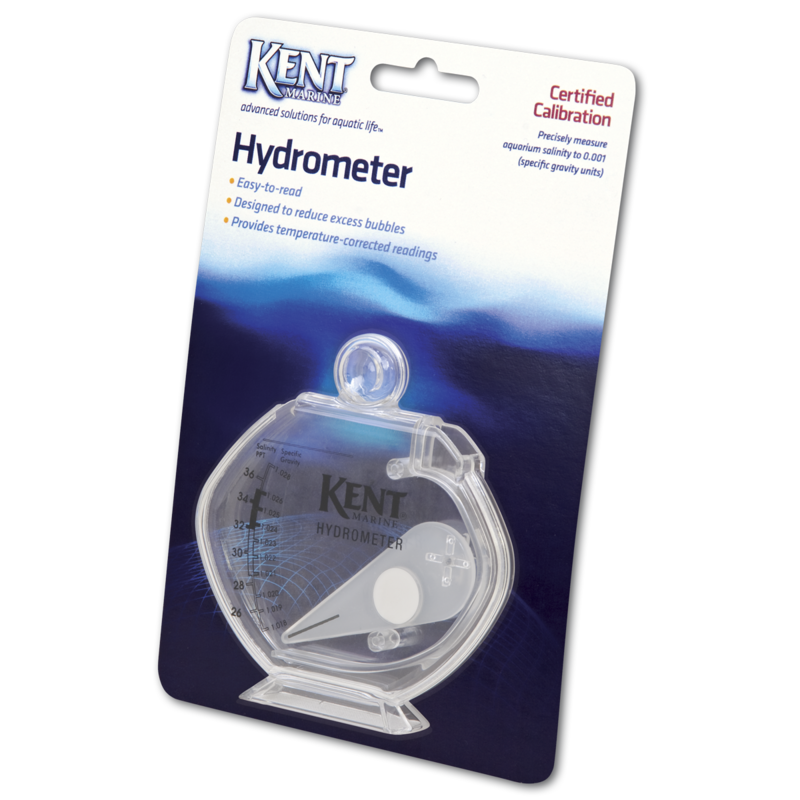 Submerge hydrometer approximately 6" below water surface until water reaches the fill level line. 2. 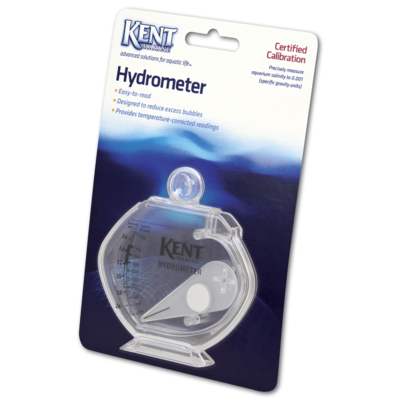 Remove hydrometer and place on a level surface. 3. Air bubbles adhering to the pointer will result in inaccurate, high readings. Gently tap hydrometer to dislodge any air bubbles. 4. Read specific gravity on inside scale and salinity in parts per thousand (ppt) on outside scale. 5. Rinse with fresh water after every use. NOTE: Before using the KENT Marine Hydrometer for the first time, fill the hydrometer with salty water and allow it to sit for 24 hours to season the needle. Recommended specific gravity for most marine aquariums is between 1.021 and 1.023. Recommended specific gravity for most reef aquariums is between 1.024 and 1.026. Salt deposits that accumulate on pointer will result in incorrect readings. If salt crystallizes inside unit, soak in lukewarm fresh water or vinegar for 30 minutes, rinse with fresh water and let air dry.